Pre - heat oven to 400 degrees. 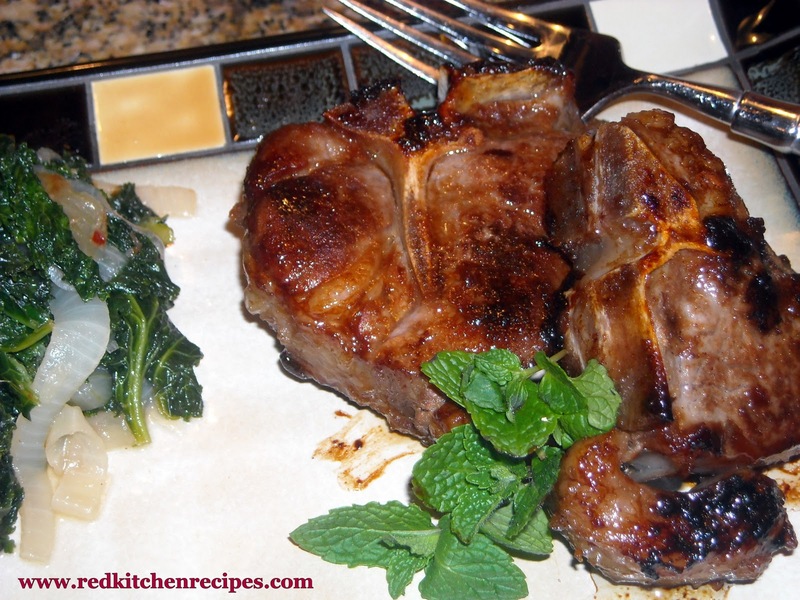 Spray a hot skillet with canola oil, then sear the chops on a hot skillet 3 - 4 minutes per side. Finish in the oven 10 - 15 minutes for medium rare. Start the kale by spraying a dutch oven with canola oil spray. Heat at medium high. Add one half sliced onion and let it cook for about 10 minutes. Tear the stems out of the kale. This is pretty easy, and it doesn't take long. Add a little bit of kale at a time. It will really wilt down. Add 1/2 cup of chicken stock. 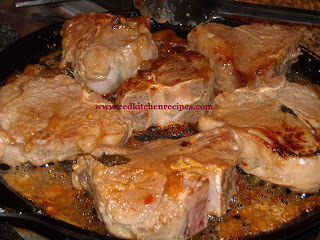 Season with sesame oil or peppers in vinegar sauce. Add salt.